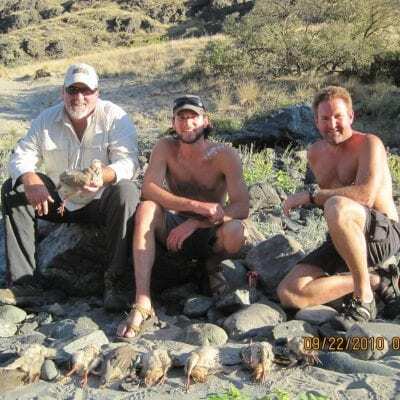 Starting September 21st, you can fish for steelhead, or bird hunt for Chukar partridges all day long. We take 4 days to cover 34 miles, and the trip is limited to 6 participant. Expert guides show you where the fish are and guide you into the birds. The supply boatman moves our deluxe fall camp daily. This keeps you on the water, and pursuing the fish and/or birds all day. We do not include dogs, however you are welcome to bring your favorite friend. We will have bowls, water, and a doggie life jacket. Crates can be accommodated on the gear boat. 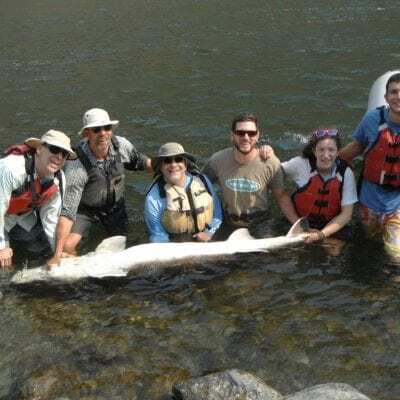 Included in the trip: 2 or 3 guests per boat with guide, all fishing equipment (including sturgeon and steelhead gear), deluxe fall camp set up by gear boatman, prep and storage of game, cool weather sleeping gear including sleeping bag, pads with cot, water tight bags for guns, waterproof boxes for shells, all meals, snacks, a modest supply of beer and wine, soft drinks, and cook tent if needed. 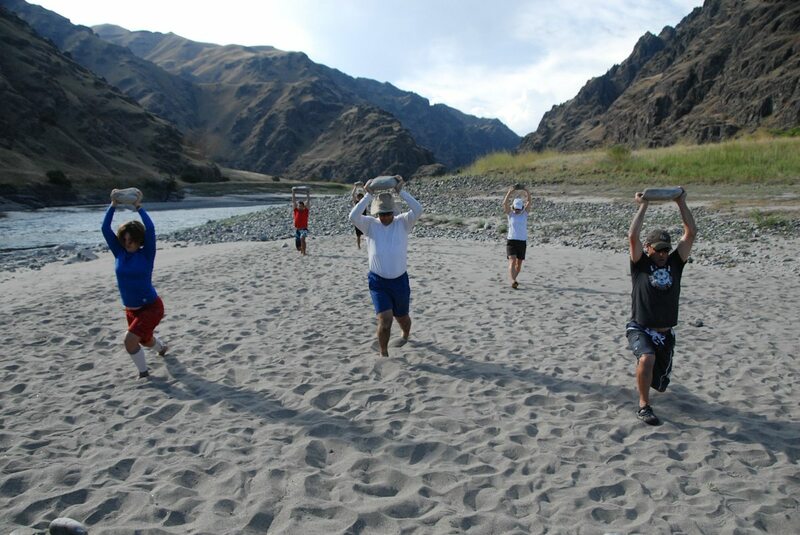 Hells Canyon boasts some of the best small mouth bass fishing on the planet. 60+ fish days are not uncommon. These feisty fish are great on a spinning rod or with a little instruction. They are great fun to catch on flies. There are 2-3 fishermen per boat which gives you plenty of time and space to fish all day. There is also time to try your luck at sturgeon fishing. There is nothing like fighting an 8 foot prehistoric fish. 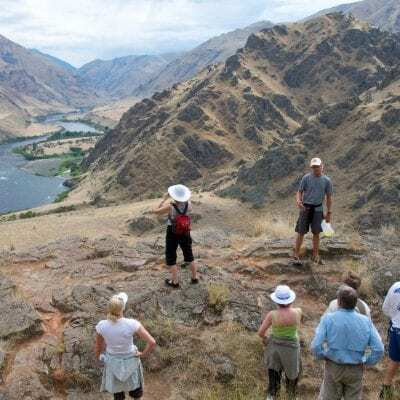 When your arms start to hurt sit back relax, take in the amazing scenery of Hells Canyon, and have a cold drink. There is also plenty of time for hiking, and exploring the Canyon’s history. Abandoned homesteader cabins, Chinese mining sites, and ancient pictographs are just some of the sites you will see. On this idyllic yoga-raft trip, you can expect your first class guides to prepare gourmet meals, and guide you safely through the whitewater while you enjoy the incredible natural beauty and unwind with the support of energizing and restorative yoga practices. All levels welcome! Sunrise Yoga, an energetic practice to get the day started, Late Afternoon Yoga, after a full day of rafting this restorative practice will guide you into a deep relaxation where your connection with your mind/body/and spirit will merge with your connection to the beautiful river environment, and Late Evening Yoga, a short discussion on a salient aspect of Patanjali’s yoga sutras and a Yoga Nidra, guiding you into a deep and reparative sleep under the stars.